Steel stitched seams hold box together securely to protect its contents better. 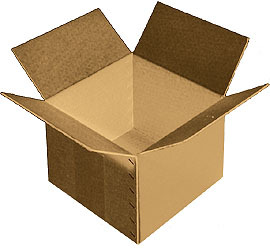 Holds what a normal shipping box can't with its 275# test corrugated board. Pack small stampings, machinery parts, castings, fasteners and innumerable other items. Shipped flat. Folds together in 17 seconds.